Unai Emery’s charges were threatening to get the second goal on set-pieces, while the visitors were still trying to settle in the match. 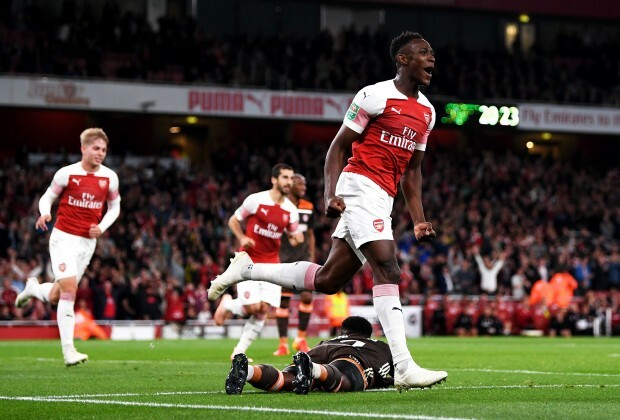 Welbeck bagged his brace eight minutes before halftime and made it 2-0 for Emery’s men with a simple tap-in after an unselfish cut-back from Nacho Monreal. into the break trailing 2-0 as a result. The Gunners controlled the tempo of the match after the break but the visitors were showing glimpses of causing problems on counter-attacks. Alexandre Lacazette ended any hopes of a comeback for the visitor, making it 3-1 to Arsenal in the final minute of stoppage time after showing great physical strength to get past two defenders in air and tucking home the third goal. For the first time, I felt betrayed or crying when watching FC Barcelona...Everything was so poor, Lionel Messi passes were so poor, Munir so is Sergio Busquets.....The less said about Gerrald Pique, Umtiti and that Cow by the name of Vermalean the better.....Ernesto Valverde tactics are useless.....Drew 2-2 against Girona...and we lost to Farmers Leaganes.